A classic mystery for the festive season: mulled wine, mince pies...and murder. Mordecai Tremaine, former tobacconist and perennial lover of romance novels, has been invited to spend Christmas in the sleepy village of Sherbroome at the country retreat of one Benedict Grame. Arriving on Christmas Eve, he finds that the revelries are in full flow - but so too are tensions amongst the assortment of guests. Midnight strikes and the party-goers discover that it's not just presents nestling under the tree...there's a dead body too. A dead body that bears a striking resemblance to Father Christmas. 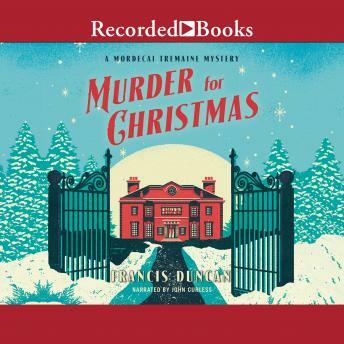 With the snow falling and the suspicions flying, it's up to Mordecai to sniff out the culprit - and prevent someone else from getting murder for Christmas.